The monsoon may not seem like the best time to go house hunting. No one likes to drive around in pouring rain, not to mention the innumerable puddles, and exasperating traffic jams. 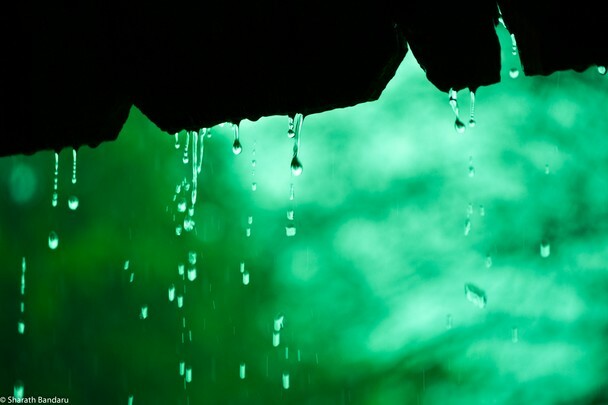 Well, believe it or not, monsoon is one of the best seasons to seal a deal for a property acquirement. Here are four convincing reasons for you to brave the elements, and go looking for a house this monsoon. Monsoon is a dry season in terms of real estate sales. Besides the heavy rain, most people avoid buying anything for two weeks during monsoon, as they consider it inauspicious because of the ceremonies of shraadh or pitrapaksh. Luckily, this is the best time to get a good bargain as developers normally offer monsoon discounts to boost their sales. Although developers may not advertise it as a monsoon discount per se, most of them are more than willing to offer lower rates to serious buyers in order to clear existing inventory. The amount of discount you can avail varies for different cities, depending on how badly the city is affected due to monsoon. House hunting in monsoon will reveal a lot about the water logging problems in the locality. Driving around in blustery downpour will also give you an idea about traffic problems, and the time required to commute to and from that locality. This is especially helpful if you have recently moved to a new city, and are yet to learn about various localities and the associated geographical problems. Looking for a house during monsoon saves you a lot of trouble as you know what you’ll be dealing with during the next monsoon. It’s not just the developers who are keen to boost their slow business during monsoon. Even banks and financial institutions are more likely to negotiate interest rates and offer attractive home loans during monsoon. However, with the recent rate hikes by the RBI, your credit profile might be an important factor while securing a lower interest rate. In case of partially or fully completed properties, inspecting the house during monsoon will give you a fair idea about its construction and reliability. You can easily spot signs of dampness or leakage, and avoid buying an ill-constructed house. Structural soundness of a building is an essential factor, as you may end up spending a huge amount on repairs if the house turns out to have water seeping problems. Now that you know why it can be very profitable to buy a house during monsoon, you can very well put on your rainy gear, and set out to find your dream home. Not only do you stand a chance at striking a real bargain, you also benefit from the lower home loan rates that are generally offered during monsoon. The Union Budget for the fiscal year 2012-13 has raised the service tax on apartments to 12.36 % from the proposed 10.3% in the 2010 Union Budget. The new service tax is applicable to building constructions including apartment complexes, flats, row houses, and industrial and commercial complexes. The new tax policy poses many important questions such as whether the builder or the buyer will be liable for this service tax, will payment for amenities like preferred location charges, apartment maintenance fee and parking space charges also attract service tax. Here is a breakdown of how the new service tax is likely to affect home buyers. According to the Union Budget 2012-13, under construction buildings and properties will henceforth attract a service tax. A building is considered complete only after a completion certificate has been obtained by the builders from the concerned authorities. Since most buyers book their houses when it is still under construction, all payments made by the buyer during the construction period will be taxable. The good news is that the cost of land, materials, and other construction related expenses, which comprise around 67 % of the property price, do not come under the service tax bracket. The buyers are required to pay service tax only for the remaining 33 % of the cost of the property. Any modification within and without a building complex will also attract a service tax, as will preferential location charges, and cost for amenities such as swimming pools, landscaping, pavements, and lakes. Maintenance fees, if above a threshold of Rs. 5000 per month, as against the previous threshold of Rs. 3000 in the 2010 Union Budget, will also attract a service tax. Buyers are exempt from service tax if the total payment is made after the builder has obtained a completion certificate for the property. Resale of properties will not attract a service tax as the property would already have a completion certificate. Parking spaces will no longer attract any service tax as per the latest Union Budget. Construction done under the Rajiv Awaaz Yojana and the Jawaharlal Nehru National Urban Renewal Mission, as per notification no. 28/2010, dated 22nd June 2010, are also exempt from service tax. The new service tax on apartments leaves a few doubtful questions such as whether or not a buyer is liable for service tax for partial amounts that are paid after the builder has obtained a completion certificate. Moreover, if a buyer decides to withdraw from a housing scheme, how will the service tax be adjusted on the amount refunded to the buyer? Further, if there is a significant delay in construction, will the builder be required to refund the service tax to the buyer if they choose to withdraw or the project is indefinitely closed? Have more information to share with us? Let us know in the comments below!